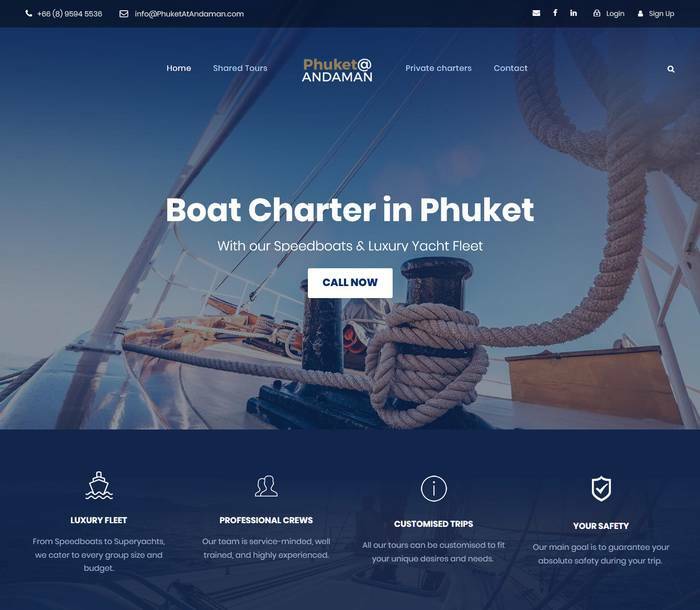 Project Client: PhuketAtAndaman Co., Ltd.
PhuketAtAndaman offers Private charters, island hopping on speedboats and yachts that cruise to hidden secluded beaches around Phuket’s famous destinations. We redesigned a bran new SSL secured and responsive website for them with a specialised booking system. Shopping cart (with direct bookings and enquiries).